If you have a relatively simple estate and have already listed someone as a beneficiary on all of your investments and life insurance policies, you may wish to consider consulting with an experienced estate planning attorney for the purposes of avoiding probate. 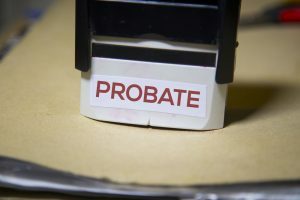 If you have already listed someone as a beneficiary in your investment accounts, there’s a good chance that you already realize that you have a goal of avoiding probate. A transfer-on-death deed may be used for the home and you may also wish to consider how to appropriately pass on a car title. Your estate planning is a comprehensive process and only one piece of this is a will. Your will controls probate assets and those are the ones in your name that do not have any beneficiary designations. A home and a car are great examples of probate assets. Investment accounts, however, are non-probate assets because they have separate beneficiary designations and will pass outside of the will process as a result. This means that if you have stipulated in your will that someone should receive your investment account but have a separate beneficiary listed, the company managing your investment accounts will have to pass it on to the person named as the beneficiary designation. Your will, in this example, would only control the car and the home but not the investment account. This means that if you wish to avoid probate, you’ll have to take action for both the home and the car. Using a transfer-on-death deed is one option you may also add as a beneficiary designation on a title. There are many different options available to you for the purposes of estate planning and scheduling a consultation with an experienced estate planning attorney is recommended.